Your choice of internal Class 2 Seat Harnesses or a Class 1 Escape Belt certified to NFPA 1983 (Life Safety Rope and Equipment). Harnesses feature our patent-pending floating leg loop system. Leg loops stay down out of your business except when you load the harness, pulling them up into the correct seat position and equalizing the load. Leg loops are hardware-free so there's nothing to dig into your legs. 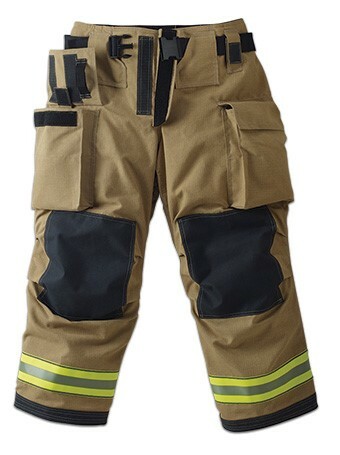 Made from KEVLAR®, these harnesses meet NFPA 1971 (Structural Fire Fighting) requirements when installed in the pants. Not ready to upgrade to an internal harness? Add it later without alteration. 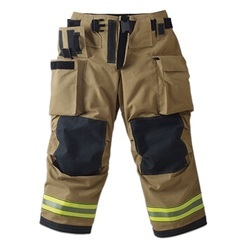 Optional SERIES 1 INTERNAL HARNESS with floating leg loops and low profile waist buckle. Optional SERIES 2 INTERNAL HARNESS with floating leg loops, hook & dee closure, and auto-lock carabineer. Optional ESCAPE BELT replaces standard belt closure. 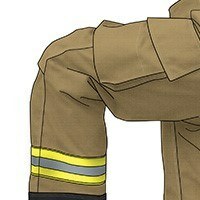 Optional SILIZONE® FOAM KNEES make crawling almost heavenly and don’t absorb water. AXTION® KNEE adds length over the knee so you can step up, sit down, kneel, or crawl freely. AXTION® SEAT adds length in the seat to allow you to bend at the waist and knees freely. PADDED H-BACK RIPCORD SUSPENDERS attach to horizontal loops so there is no metal hardware to dig in or pull out. 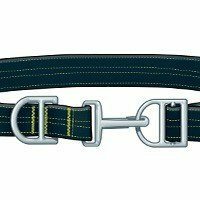 ADJUSTABLE BELT CLOSURE makes the pants fit like jeans or can be replaced by your choice of harnesses or belts initially or down the road. 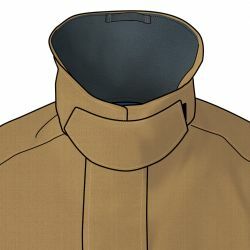 VERTICAL FLY CLOSURE with hook and loop makes for fast and secure donning. INDEPENDENT STRETCH WAISTBAND for unrestricted fit and no-gap protection with liner. LINER ACCESS OPENING on both sides of the waist for easy access between the layers. THERMALLY ENHANCED KNEES add a layer of thermal and moisture barrier to protect this high compression area. EXPANSION CARGO AND ROPE POCKETS with hook & loop hardware straps and reinforced with KEVLAR® fabric inside. 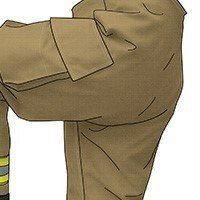 REVERSE BOOT CUT is shorter in the back to avoid premature cuff wear. TRIMTRAX® THREAD PROTECTION with patented cording lasts far longer than conventional stitching. 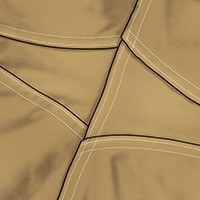 DOUBLE-STITCHED SEAMS with 8–10 stitches per inch for longer service life. Your choice of MATERIALS: Outer Shells, Moisture Barriers, Thermal Barriers, Reinforcements and Reflective Trim. Your choice of OPTIONS: Closures, Pockets, Straps/Loops, Suspenders, Belts/Belt Loops, Harness Loops/Pockets, and Cuff/Leg Closures. SIZES: Waist and Inseam in both Men’s and Women’s patterns.